For those who do not know, eras ago, countless trading Arabs holidaying at Kerala stayed back, marrying native women. The food this community cooks is what is known these days as Moplah cuisine. Moplah is derived from the Tamil word ‘maappillai’ or new groom. The food festival at Fire at The Park Hotel Celebrates these flavours of Calicut with Chef Begum Abida Rasheed, and I would definitely recommend taking out time to enjoy this spread of Moplah delicacies flavoured with Kerala spices, braised by Calicut’s cooking guru herself (she also has a rocking textile business by the way) and I say this after sampling a taster’s portion of many mouth-watering dishes. 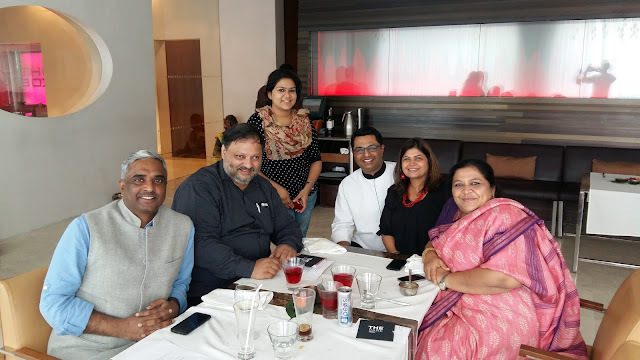 We enjoyed the lively company of our host, the Begum and Executive Chef Abhishek Basu who churned out a feast of homely Malabari food, sprinkled with sprightly conversation and anecdotes. 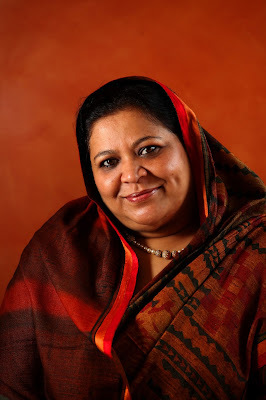 “We never use anything non-natural to augment the flavour of our dishes, but allow the regular flavours of the elements to come out”, says superstar Moplah chef Begum Abida Rasheed, who had once held a live breakfast show encompassing seventy two Malabari items. Fondly known as the envoy of Moplah cuisine, she always voyages with her cooking containers such as the uruli (brass cooking pot) and cheena chetty (frying pan) when she curates food festivals. While Abida fills us in on the intricacies of Moplah cuisine, our food arrives. 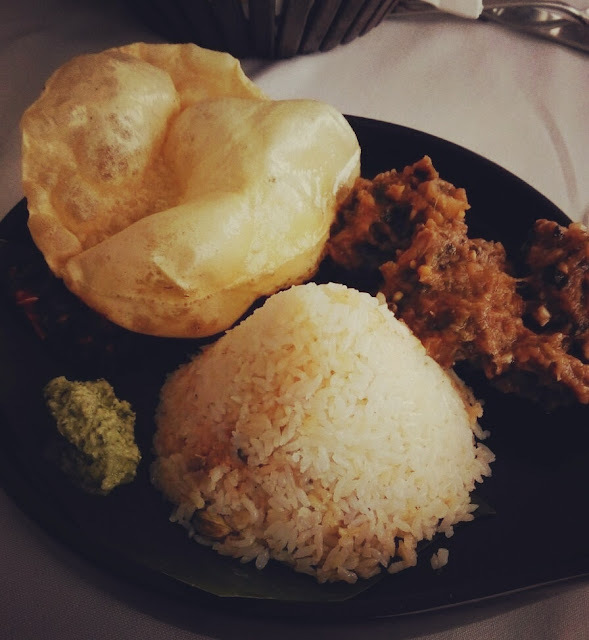 We sampled her mutton biryani, Mutton Ishtu, chakara choru, delicious snacks and the softest puttu with kadala curry. The Malabari biryani, especially in Thalassery, is subtler and not heavily flavoured like its North Indian counterpart. ‘In our biryanis, we only use small-grained Bengal rice, usually from a windswept valley and infused with an aroma’, shares Nafisa Rasheed (Abida’s youngest daughter (22)), a communication graduate, is set to make her mark in this domain. The mutton chops in the mutton biryani are cooked in ghee and marinated just the accurate amount. 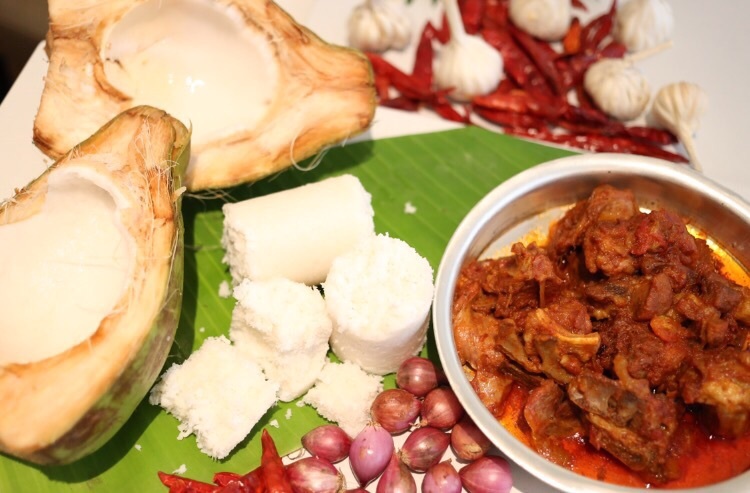 With an almost milky consistency, the lamb curry is a great accessory to the tenderised chunks of lamb. The menu also includes what Abida trusts to be the only known non-vegetarian dessert. 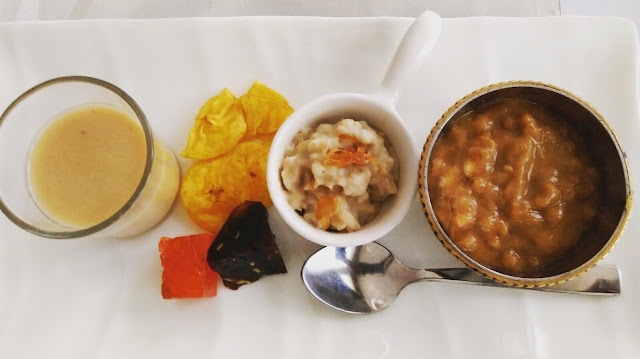 “Aleesa is a porridge mixed with wheat, coconut milk, fried onion, ghee, meat, served with sugar”, she explains, while the desserts make their way to our table. There’s a lot we haven’t tasted. But then again, after this food trail, we were so full, that we actually skipped dinner. This festival showcases handpicked dishes of Chef Begum Abida Rasheed. So head to FIRE, The Park New Delhi for a rich and royal Malabar Feast -4TH – 13th December, Dinners only.